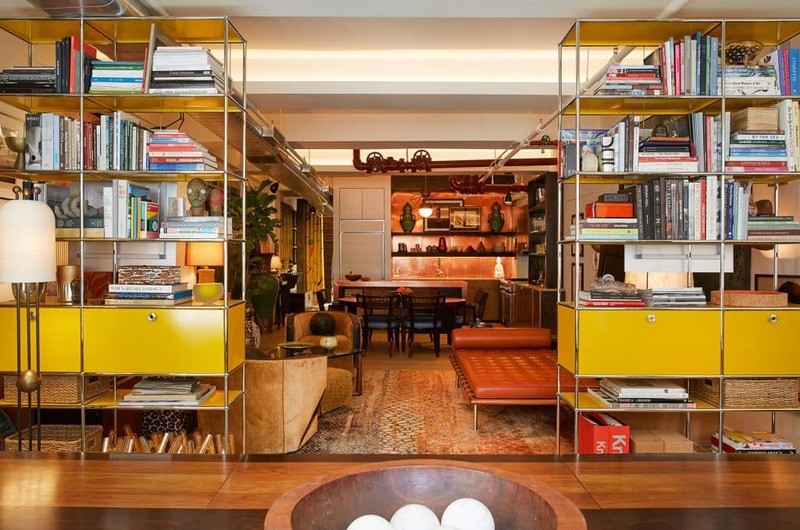 Drew McGukin‘s love of bold color and pattern, plus a certain 1970s vibe, is on clear view in his own home, a loft in New York’s Chelsea Flower District, where canary-yellow USM cabinets define the perimeter of a work space. Top: In the loft’s living room, his own McSwivel lounge chairs and a Swaim sofa sit under two large aboriginal paintings. One of the two vintage Gordon and Jane Martz table lamps came from Lawson-Fenning. 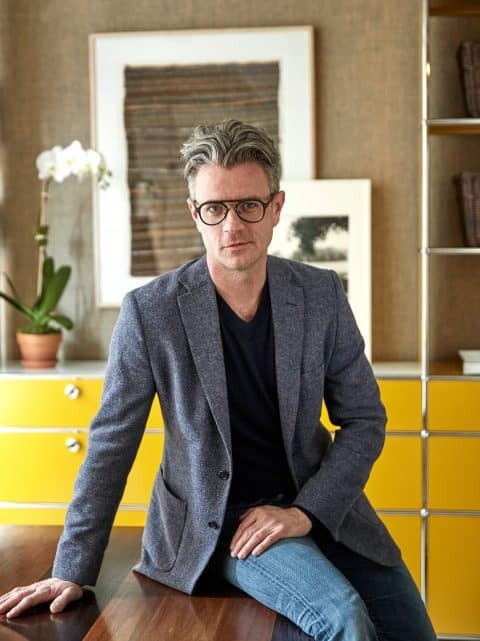 People think I’m a lot cooler than I am,” says 41-year-old interior designer Drew McGukin. “As a person, though, I’m very shy.” It’s true that McGukin’s manner is reserved, even a touch formal, despite the casual blue T-shirt and jeans he wears. He sits ramrod straight in his chair, looking very earnest behind horn-rimmed glasses, a single white streak rising from his forehead amid a thick, wavy mane of salt-and-pepper hair. But if McGukin is shy, he has compensated for it with a commanding intelligence and an ability to articulate his ideas sharply and clearly — a rare quality among younger designers, who often struggle to describe their work. And his aesthetic is anything but recessive. His style is forthright and high impact, characterized by strong colors and graphic patterns deployed with confidence and skill while avoiding eyeball-straining shades that can be visually overwhelming. McGukin is sitting at a long table in the front of the loft he calls home, in Manhattan’s Chelsea Flower District. 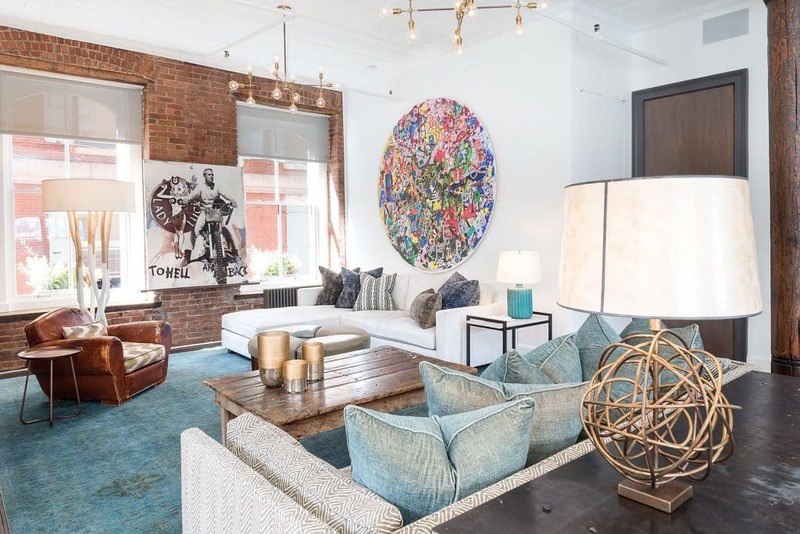 The apartment, which sits in a former fur factory built in 1922, previously housed the offices of Drew McGukin Interiors before he moved the business into larger digs across the street, although he still uses it for client presentations. 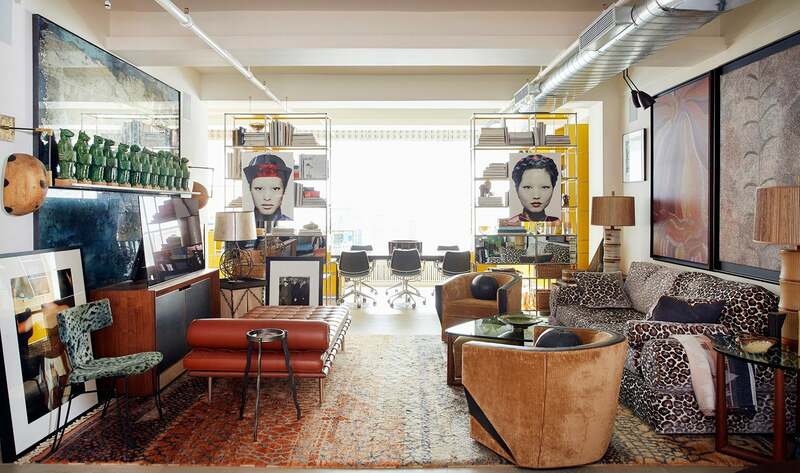 Canary-yellow storage cabinets define the perimeter of this area of the loft, beyond which is the living room, done in animal prints — leopard sofa, ocelot ottoman, green tiger klismos chairs and a rug that looks like abstracted snakeskins. Photographs by Cindy Sherman, Diane Arbus and Berenice Abbott, as well as aboriginal art — one of his passions — hang on walls or are propped against them. Moroccan urns, vintage artworks and a mix of dishes and accessories give the kitchen decor a collected feel. 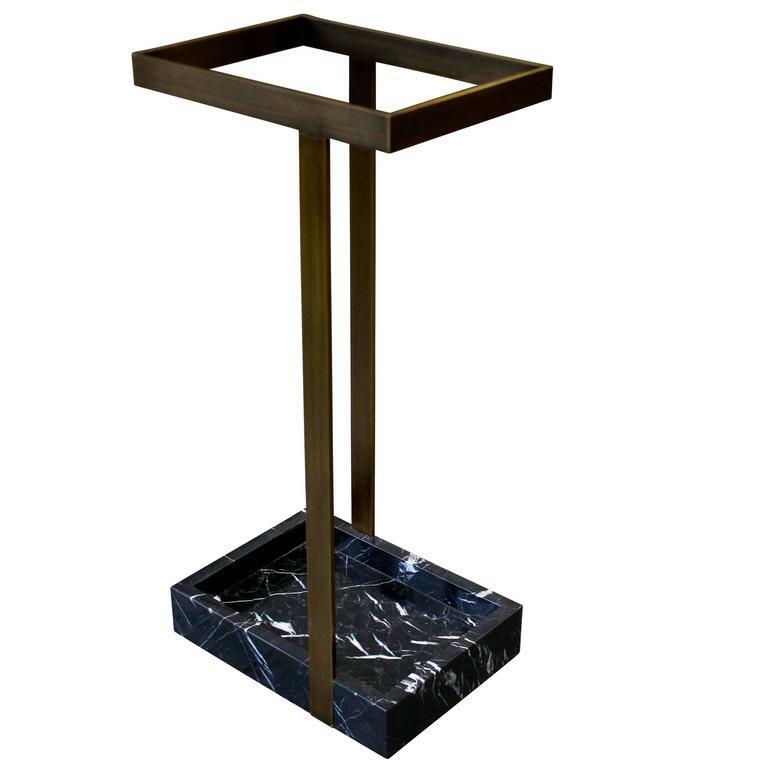 The 1980s chandelier came from 1stdibs; the custom copper island was designed by McGukin and crafted by James Devlin. 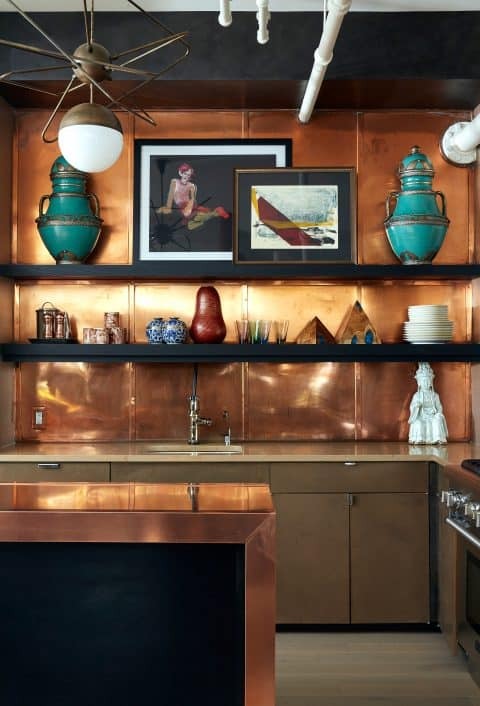 An open kitchen — swathed in copper and featuring a custom island made by James Devlin — separates the loft’s more public spaces from its bathroom and bedrooms beyond. The bath is clad in Voutsa’s colorful, ebullient Fiona wallpaper, with a matching shower curtain. 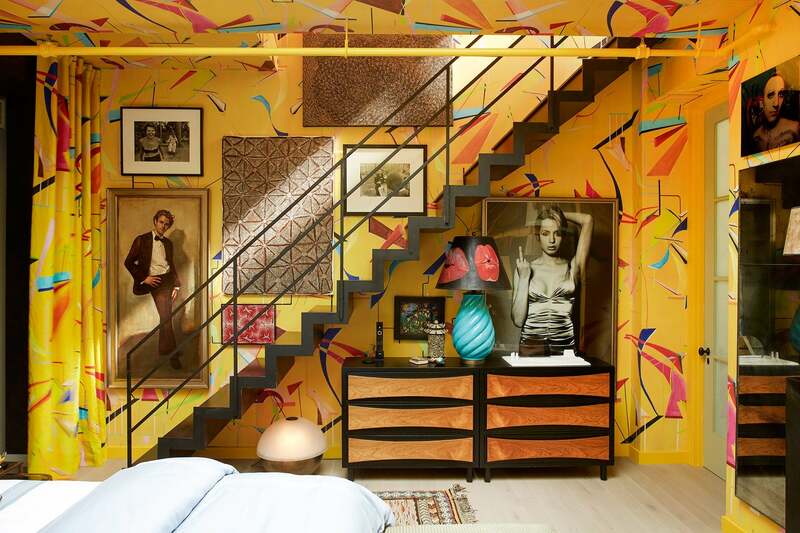 The walls, headboard and bedframe in the sleeping quarters received an even wilder treatment, papered in the same company’s George Chinoiserie, a pattern of flying, swirling, intersecting geometric shapes in psychedelic colors against a sunflower-yellow ground. “No client I’ve ever had would let me do this,” says McGukin. Still, he does get his clients to do a lot that’s plenty bold. A Voutsa wallcovering and curtains to match almost steal the show in the loft’s bedroom, where a vintage lamp atop a mid-century-modern dresser sports another Voutsa pattern. Photographs from McGukin’s collection — not least the early-2000s work from Skylar Reeves’s “Gender Act” series to the right of the vintage lamp — mix with a painted portrait of the designer and more aboriginal works. McGukin followed this up with a two-year program at the New York School of Interior Design. 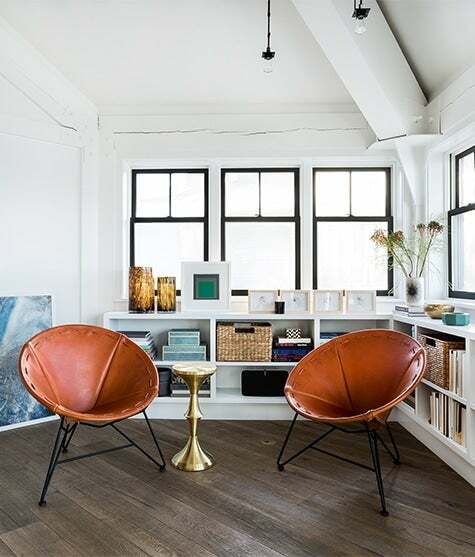 In 2009, he entered a Pottery Barn student challenge, winning a lunch with Manhattan interior designer Jamie Drake that helped him envision a career in the business. After working for nine months in the offices of designer Matthew Yee, he was convinced by his partner to take a leap of faith. “He gave me an ultimatum,” recalls McGukin, who was 32 at the time. “He said, ‘You can get a job fetching coffee for some badass designer and apprentice your way up, or you can clean out our second bedroom and start your own business.’ ” In 2010, McGukin opened his eponymous firm. 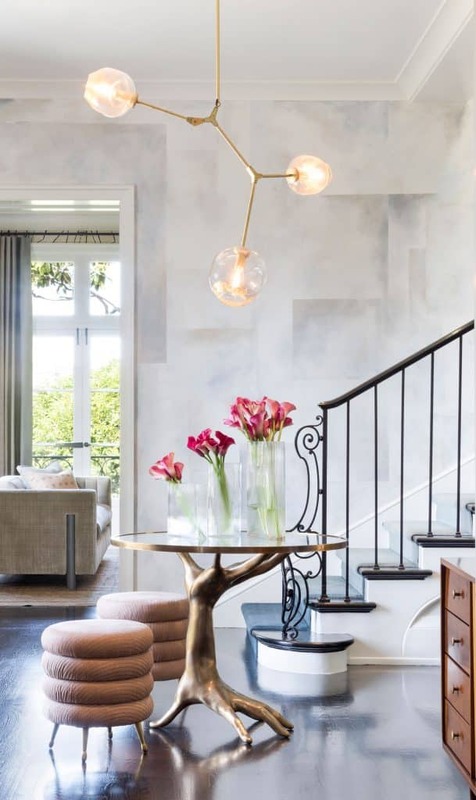 In the house’s entry, a Lindsey Adelman chandelier hangs over a Kelly Wearstler center table and stools. The Brazilian mid-century-modern chest is from 1stdibs. McGukin sourced the kitchen’s stools from Thomas Hayes Gallery. 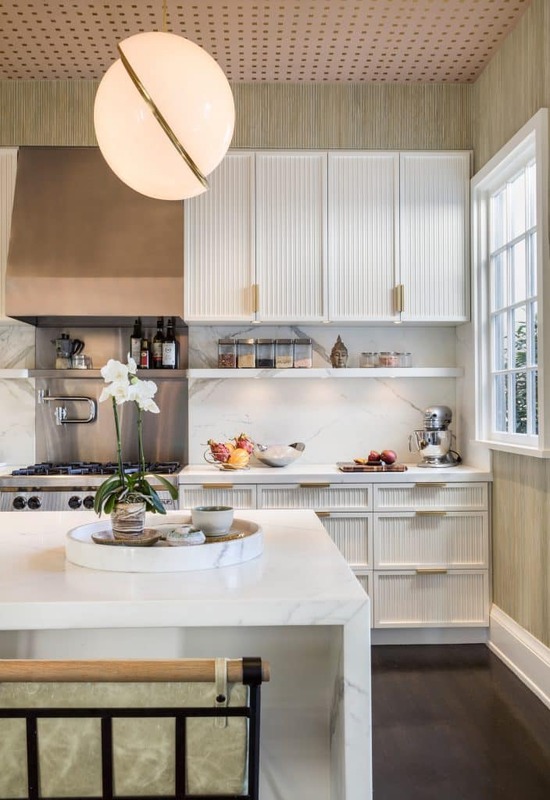 The overhead light is by Lee Broom, and he designed the custom cabinets himself. For the living room of a Chelsea home, McGukin selected a vintage cut-velvet fabric to upholster a custom chaise of his own design. 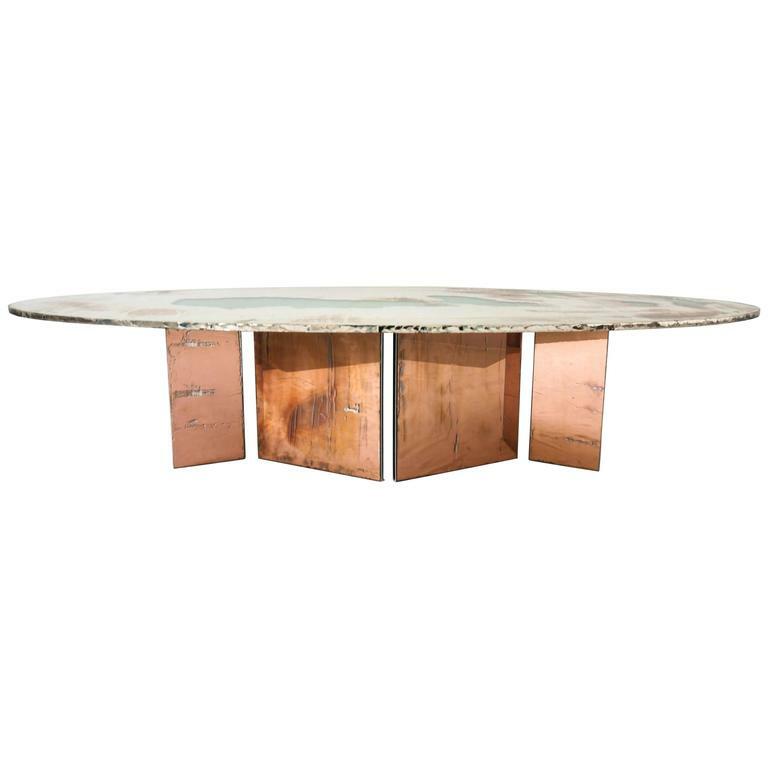 The Frank Lloyd Wright coffee table is from 1stdibs. A custom table and chairs stand in front of a window embraced by a bespoke L-shaped wall mirror — a McGukin original. A classical sculpture sits on the window sill. In a Soho apartment, an artwork by Olaf Breuning hangs over a custom couch of McGukin’s own design. The table lamp in the foreground is Martha Sturdy, and the floor lamp in the background Michael Dawkins. 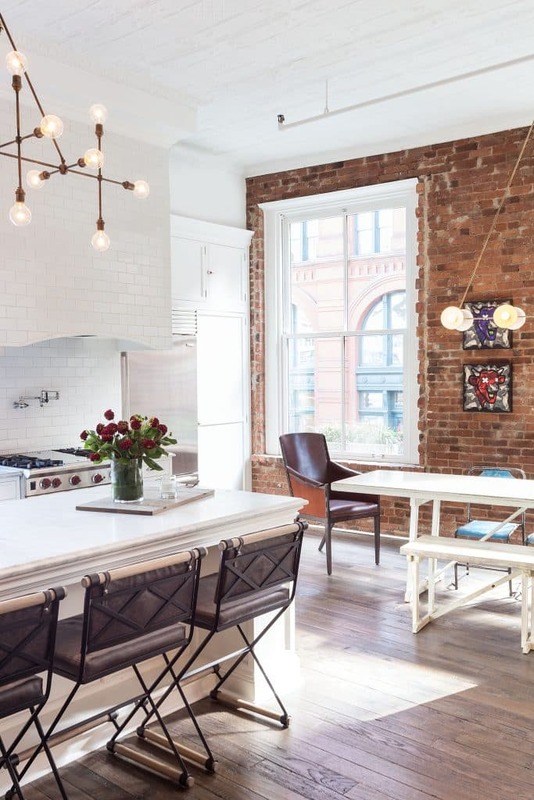 The Soho home’s kitchen features a Thomas O’Brien leather captain’s chair plus more counter stools from Thomas Hayes. Nevertheless, a few threads do weave through the many projects of varying scope that he is juggling at any time. “I like bold decisions,” says McGukin. 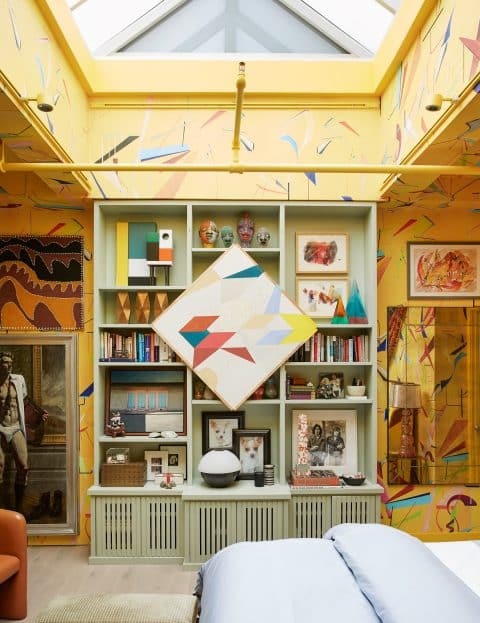 “Taking chances is what design is about.” This approach is evidenced in his unabashed approach to color and pattern. 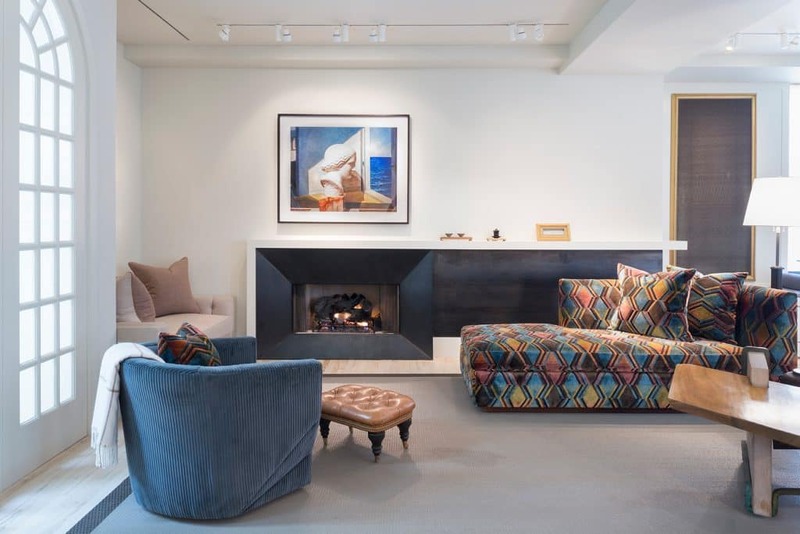 A chaise in a Chelsea loft living room, for example, is upholstered in a graphic diamond pattern of teal, rust, mustard yellow, camel and chocolate, while the dining room walls are painted a deeply saturated Persian blue. 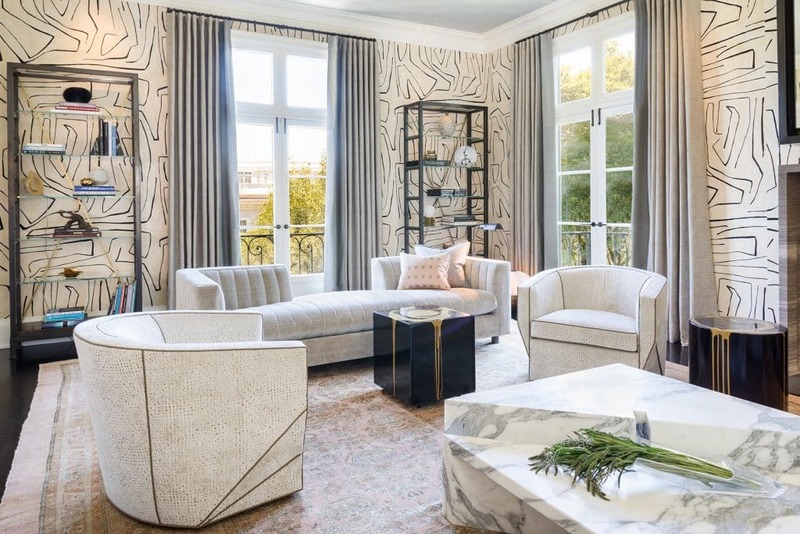 In a San Francisco residence, the dining alcove has patterned charcoal-gray drapes and chairs covered in a midnight-blue leopard-print design, and the living room walls buzz with the energy of an art installation, thanks to wallpaper that sports labyrinthine line drawings. 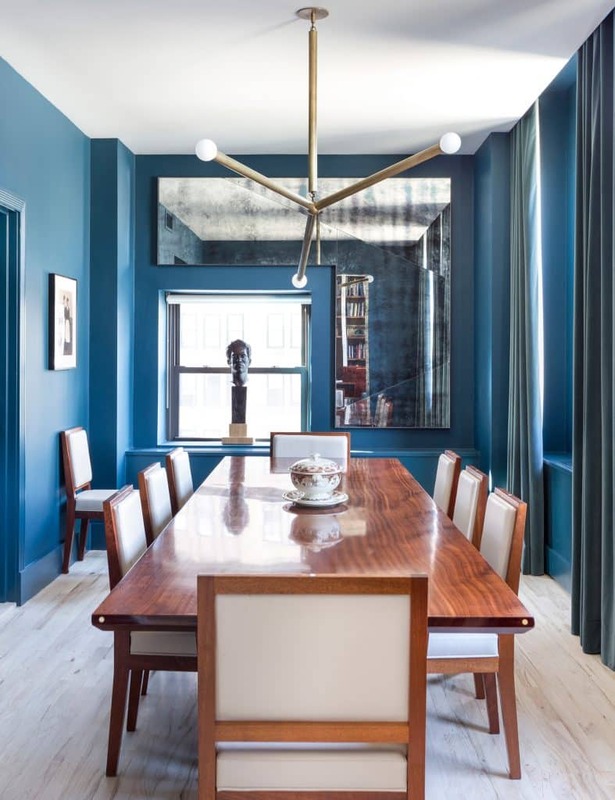 And in a Chelsea high-rise apartment, one of the few walls that is not glass in an open-plan room is covered in a white and citrine wallpaper, while nearby, carnival-colored toss pillows enliven a sofa and turquoise chairs surround the dining table. The living area’s daybed is by Mies van der Rohe, while the artworks hung on the bookshelves are by Drew Tal. The figures on the shelf above the cabinet at left are ceramic interpretations of the Chinese zodiac, each with a different animal head. “I grew up in a nineteen seventies house,” says McGukin, explaining his love of strong color, as well as of furniture forms inspired by that era. “Our living room had a chevron-patterned sectional sofa and a spiral staircase, and the whole thing was painted rust. 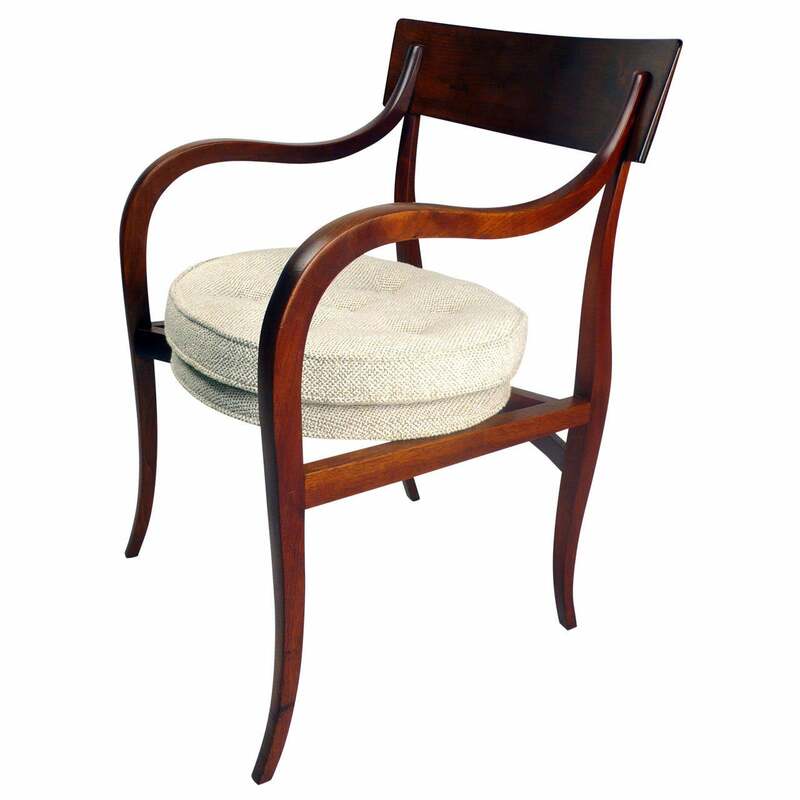 I have an employee who likes to say, ‘If it’s seventies, I guarantee you Drew’s going to like it.’ ” This proclivity also shows up in a fondness for corduroy upholstery and sculptural chairs, such as a chunky, faceted specimen of his own design jokingly referred to as the McSwivel. The loft’s Edward Wormley dining table and chairs are from Converso. A Milo Baughman table sits in the work area in the foreground. The large piece hanging from the bedroom’s shelves is by Kaveri Raina, and the piece on the bottom right is a Diane Arbus photograph. Goatskin sideboard, 1970, offered by French Art Deco Furniture Inc. 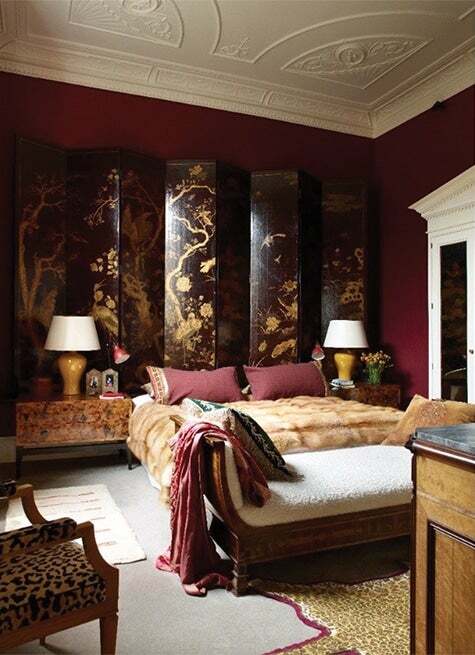 Equally adept at decorating in traditional, modern and contemporary styles, the London-based aesthete uses his impeccably trained eye and carefully cultivated drawing skills to create houses as special as their sophisticated owners. The designer pulls together an appealingly elevated bohemian aesthetic that draws on influences from both his native New England and his adopted home in the Pacific Northwest.